A new form of ‘light sheet imaging’, has been developed by an interdisciplinary team led by Professor Kishan Dholakia and Dr Tom Vettenburg of the School of Physics. A light sheet microscope creates 3D images of cells by seeing how a sample lights up slice-by-slice when moved through a sheet of light. This sheet would ideally be as thin as a razor’s edge to be able to probe the inner workings of all cells, yet gentle as light to avoid cell damage. The St Andrews group achieved this by exploiting a beam of light that moves on a peculiarly curved trajectory. The beam is known as the Airy beam after the British astronomer Sir George Airy consists of multiple parallel sheets of light, achieving high resolution without being thin. Using this method, the light is used more efficiently to see the inner details of hundreds of cells with clarity. It is hoped that the development will lead to improved understanding of biological development, cancer, and diseases such as Alzheimer, Parkinson, and Huntington that affect the human brain. Partners are sought for the commercialization of the technology. 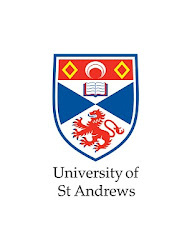 The work was funded by a UK EPSRC Programme Grant and carried out with St Andrews colleagues Dr Heather Dalgarno and Jonathan Nylk (School of Physics & Astronomy), Dr David Ferrier and Clara Coll-Lladó (Scottish Oceans Institute), Dr Tomáš Cižmár (School of Medicine), and Professor Frank Gunn-Moore (School of Biology).